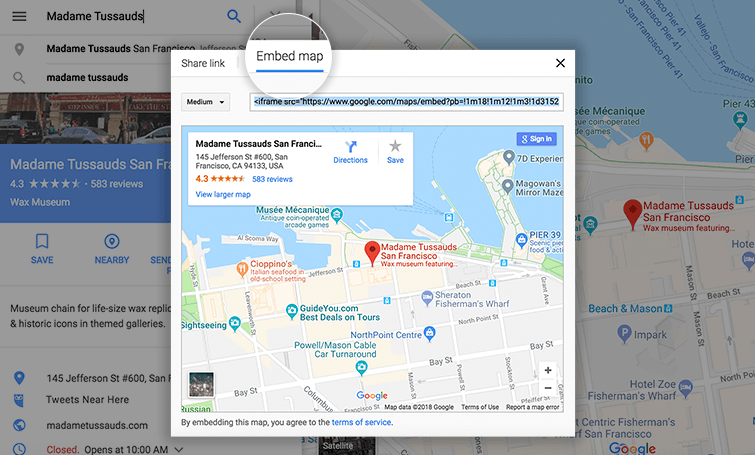 With Justinmind, you can embed online content like Google Maps using the HTML widget. You can find this widget in the Special Components group of the Basic library in the Widget library palette. Just drag and drop it to the Canvas to get started. Go to Google Maps and insert the desired address. 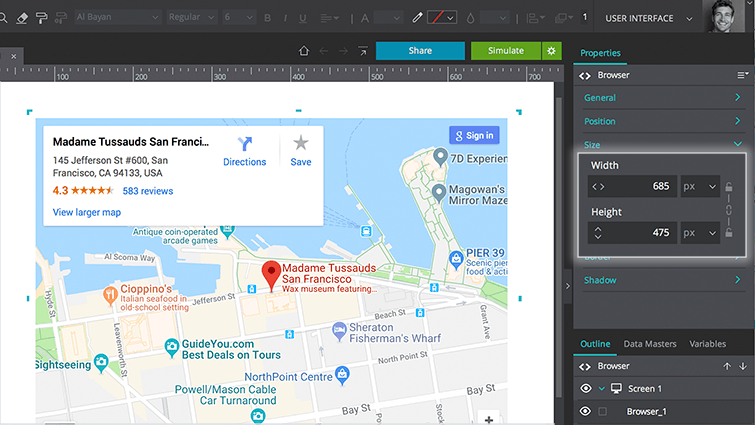 From the hamburger menu in the top left-hand corner, select “Share or embed map”. In the dialog that appears, go to the “Embed map” tab. Copy the code. In Justinmind, create a new prototype. From the Special components section of the Basic Widgets library, drag an HTML widget to the Canvas. In the Properties palette, paste the code you copied from Google Maps into the “HTML” field of the General section, replacing the default code. Make sure you check that the URL of the video in the HTML has the http:// prefix – it’s sometimes automatically removed. Then, resize the HTML element so that the entire Google Maps window will be visible during simulation. 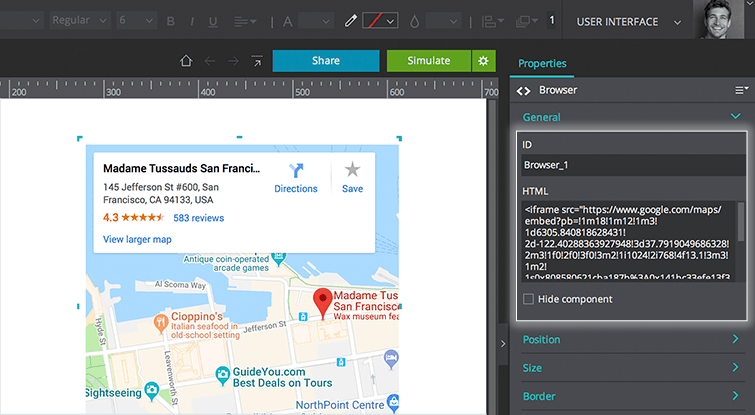 Click “Simulate” to see your Google Maps window embedded in your prototype.